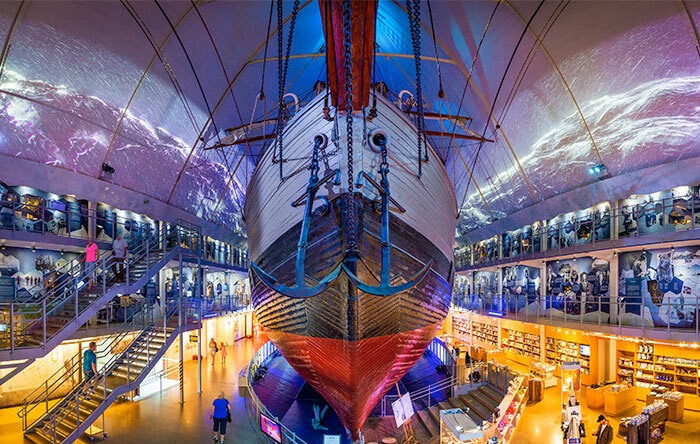 Docked in Oslo’s Frammuseet museum, the Fram is a ship steeped in rich history. 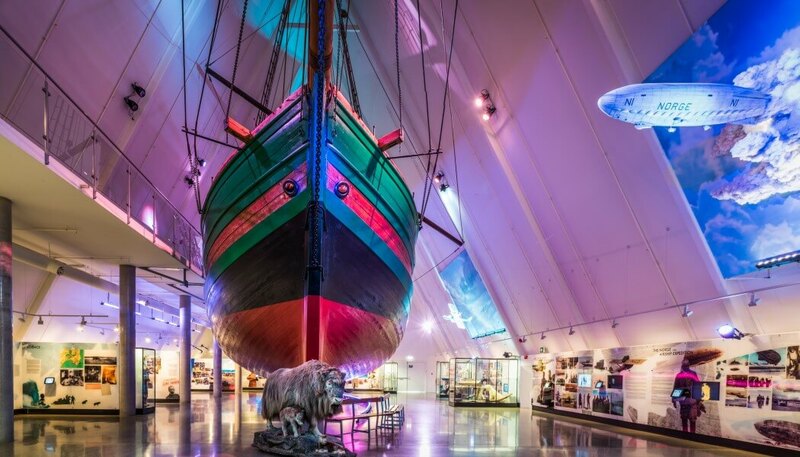 Having voyaged to the Arctic and Antarctic between 1893 and 1912 with its Norwegian crew at the helm, and carried the first person to reach the South Pole in 1911, it came to rest in 1936 – and has since evolved into a much-lauded tourist attraction in the city, with an annual footfall of more than 200,000 every year. 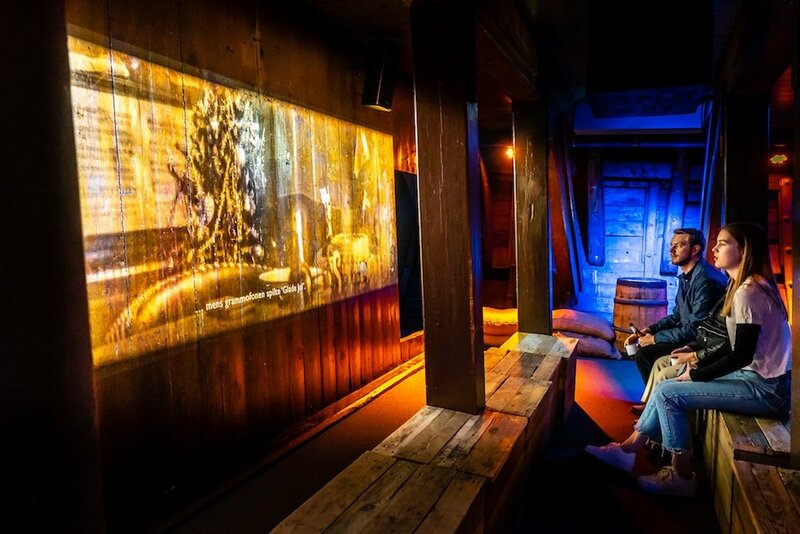 With the objective of making visitors feel part of an Arctic adventure, immersive audio and projection were to take centre stage in the renovation. 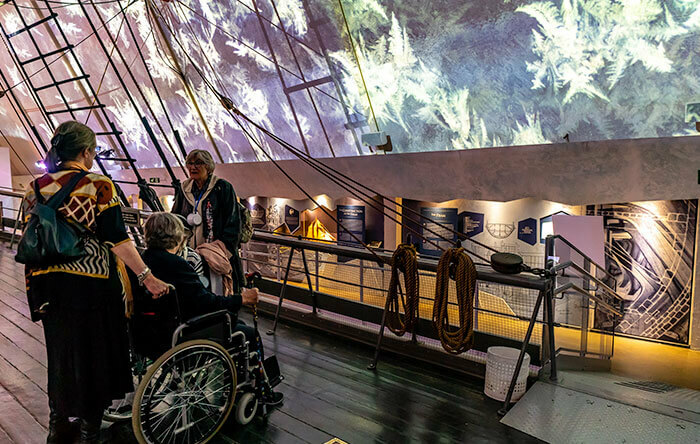 However, the challenge was how to go about delivering this – introducing AV, lighting and multimedia technology without damaging the authenticity and integrity of the vessel – which is a huge draw in itself. Sarner turned to Mike Ross, director and founder of BlueBox Technology Solutions. Drawing on more than 15 years’ of experience on installation projects of a similar standing all over the world, Mike turned to host of trusted suppliers, including 7thSense Design, a multi award-winning specialist software and hardware company for media servers; Ohm, manufacturer of custom and high quality loudspeakers; and the undisputed leader in LED professional grade laser projectors, Digital Projection, whose products were up to the rigours of the job. Powering the AV engine room at Fram are 7thSense’s media servers. 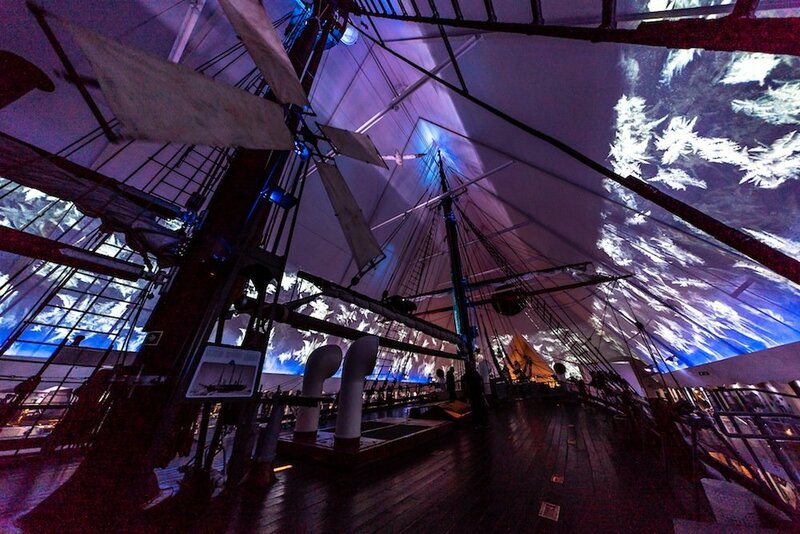 For the wall display, a single Delta Infinity media server – the most powerful in its portfolio, widely chosen by attractions worldwide for its performance and dependability – drives a 15-minute sequence of 270-degree content which takes visitors on a journey through Arctic conditions culminating in a violent storm and the boat’s eventual stall as it freezes in pack ice. The cutting-edge server – into which BlueBox manually programmed blending and geometry – boasts uncompressed media serving, capable of playing up to 16K 60fps uncompressed video content. 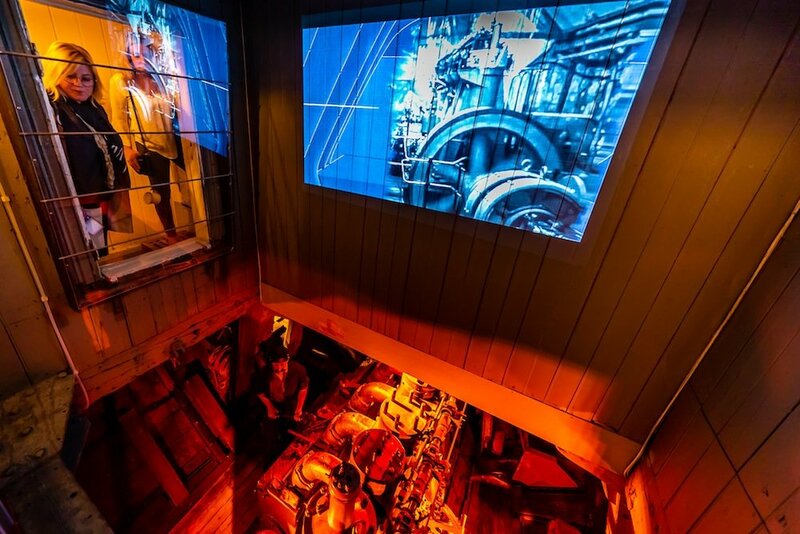 The engine room of the Fram vessel now also houses a Digital Projection E-Vision Laser 6500 projector which relays footage on how its engine worked. 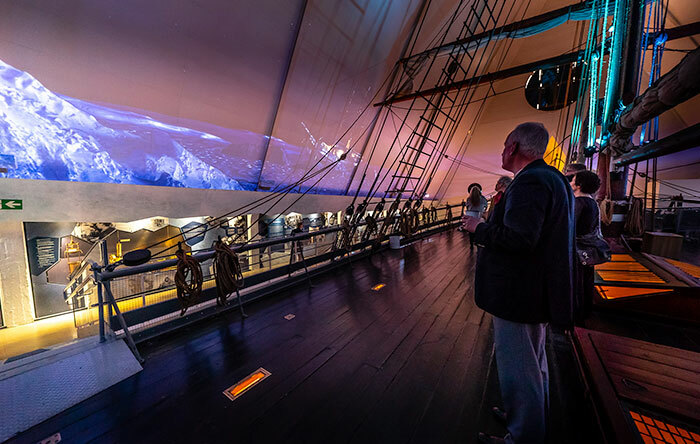 “The museum wanted to make the engine work again which wasn’t possible in this setting, but we were able to bring it to life thanks to projection and light,” said Ross. Lighting, smells and movement add to the sensory experience, while four Ohm BRT-6 loudspeakers coupled with an Ohm TRS-218 subwoofer create background engine rumble noise to perfect the visitor’s feeling of immersion and reality.